This is no longer actually a very new paper, but it’s an enjoyable one. It starts from Peter Haff’s conception of the technosphere, which I wrote about at length here. It asks: how big is the technosphere? The headline estimate is: human-originated technology has a total mass of about 30 trillion tonnes. The “subterranean technosphere”—mineshafts and such—isn’t included in that 30 trillion tonne figure. Nor is fished ocean water, which I suppose would far outweigh all the rest. Nor are greenhouse gases, seemingly, though perhaps they should be. Some components of the technosphere, like radio waves, don’t weigh anything. But an intriguing table collects the AWG’s estimates for the bulk of the world’s technological apparatus. “Urban areas” are the largest component by mass of the technosphere: the world’s cities weigh about 11 trillion tonnes, the AWG think. That figure—and the estimates in general—includes both the “active technosphere” (all the made things that are currently “in use or useable,” they say, although I’m not sure that potentially useable things that aren’t being used should be included) and the “residue or waste layers,” like landfill sites and abandoned medieval villages. The latter is approximately equivalent to what Matt Edgeworth, one of the authors here, has called the “archaeosphere”: the underground trace of human influence. So how deep is London? About 1.6 metres on average, according to the AWG, “increasing to 8–10 m in the historic core … and up to 30 m deep in places where old docks have been infilled” (p. 14). They don’t give an estimate for the mass of any individual cities, but they do report an estimate that the world’s buildings as a whole have a footprint of more than 150 billion square metres (p. 17). “Rural housing” makes up another 6.3 trillion tonnes; rural roads and railways between them 0.4 trillion. Added to the cities, that’s about six tenths of the total, which I thought surprisingly high. The rest is mostly pasture and cropland (nearly 9 trillion tonnes combined) and trawled seafloor (2.25 trillion), plus plantation forest and eroded soil. I’d have imagined that the latter five together would weigh more than all houses, roads and railways, but apparently not. I’m not sure what lesson, if any, to draw from that, or quite how much trust to place in the estimates. Someone has produced a visualization of these numbers, here. Perhaps even more unsettling [than the numerical data]—though in a quieter way—is how the paper’s descriptions upend the usual thinking about familiar aspects of daily life. For example, just as wells are pipelines for the “managed flux” of hydrocarbons or water, subways are pipelines for the managed flux of human beings. Another example: “as building and demolition” reshape cities they are “in effect operating as an anthropogenically driven sedimentary system with inflow, accretion, erosion and outflow of [their] component materials, here not powered by gravity or wind” but mostly by fossil fuels (p. 14). There’s another riff on “technofossils,” drawing an analogy between the print runs of individual “titles”—though perhaps the best analogy would be with individual editions—and the populations of individual species. 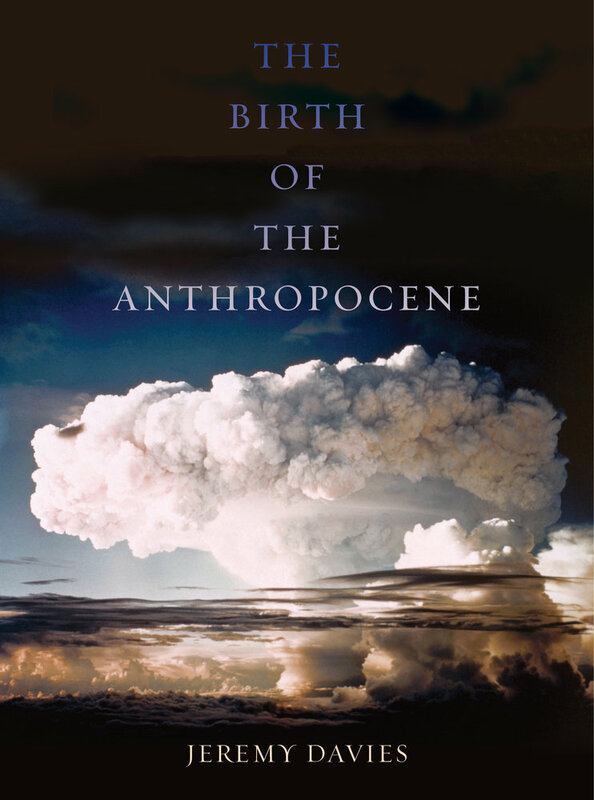 “The physical technosphere provides an alternative prism within which the Anthropocene phenomenon can be considered,” Zalasiewicz and co. write, one “that more clearly reflects its dynamic nature than does the chronostratigraphic Anthropocene Series” (p. 18).